When it comes to picking out an SD card to go along with your camera, you can be quickly overwhelmed by the number of cards available in retail stores and online. 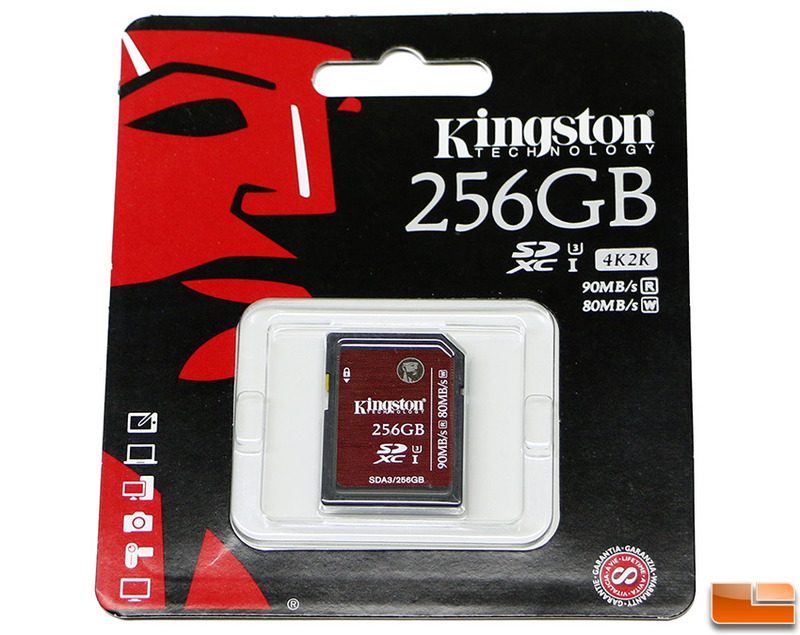 Kingston Technology offers Secure Digital (SD) memory cards for SDHC & SDXC host devices in four different series that are differentiated mainly by the sequential read/write speeds that are offered. The entry level card is a consumer class SDHC Class 4 card that offers a minimum data transfer rate of 4 MB/s and is ideal for basic camera/camcorder use where you aren’t shooting in burst mode are shooting standard quality video. The next step up from there would be the Class 10 UHS-I cards, which the 45MB/s read and 10MB/s write card is best suited for 1080P video and then the 90MB/s read and 45MB/s write card is aimed at those shooting in burst mode and shooting 3D video. The fastest card that Kingston offers is the UHS-I Speed Class 3 (U3) that has 90 MB/s read speeds and 80MB/s write speeds and is for those shooting burst mode on high-performance D-SLR and D-SLM cameras and capturing video on 2K or 4K camcorders. This card is ideal for those needing higher sustained write speeds for shooting in continuous burst mode and to ensure video integrity by reducing stutter. Today, we’ll be focusing on the Kingston SDXC UHS-I U3 Memory Card that is available in 32GB, 64GB, 128GB and 256GB capacities for storage of thousands of photos and many hours of Ultra HD video. 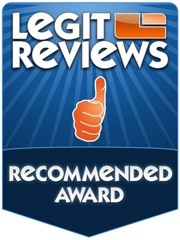 All of the cards are rated at up to 90 MB/s read and 80 MB/s write and are backed by a lifetime warranty. 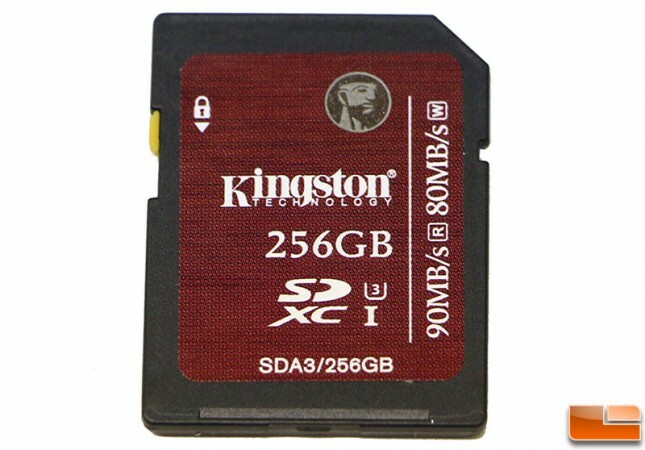 The Kingston SDXC card that we are going to be taking a closer look at today is the 256GB capacity version that is sold under part number SDA3/256GB and runs $145.20 shipped on Amazon. 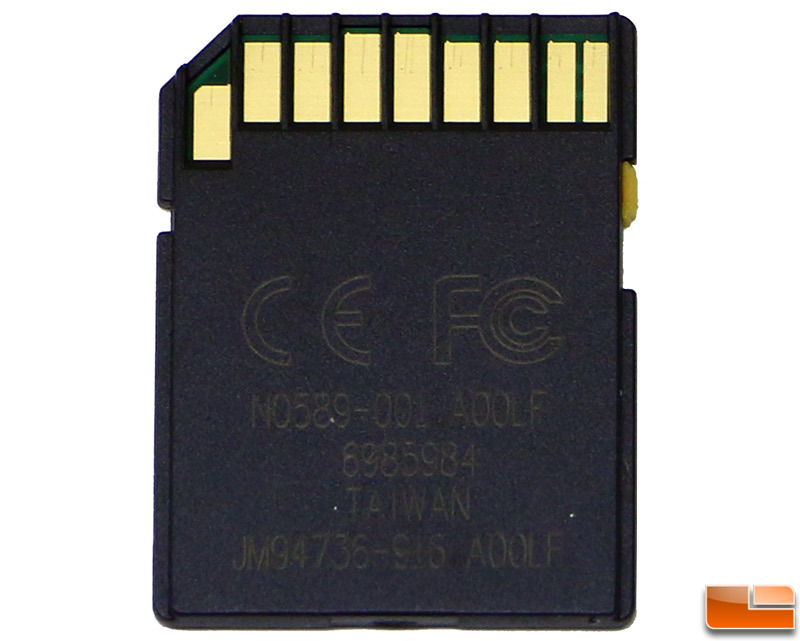 SD cards have been around for years, so from the outside you have your normal black plastic housing that has been sonic welded shut with a sticker on top that tells you what brand, model, capacity and speeds are. The write protection switch is on the left had side of the card where the SD card specifications mandates that is needs to be located. Nothing too crazy here on the outside as it’s just a memory card with a sticker on it! The magic happens inside and we can’t show you that. On the back of the card you can see the pins for data transfer, serial number of the card and that it was manufactured in Taiwan by Kingston’s facilities there. CrystalDiskMark is a small benchmark utility for drives and enables rapid measurement of sequential and random read/write speeds. Note that CDM only supports Native Command Queuing (NCQ) with a queue depth of 32. Benchmark Results: On our desktop PC that uses an ASUS Z97-A motherboard with Windows 7 64-bit we found solid performance numbers on Kingston’s flagship SD memory card. 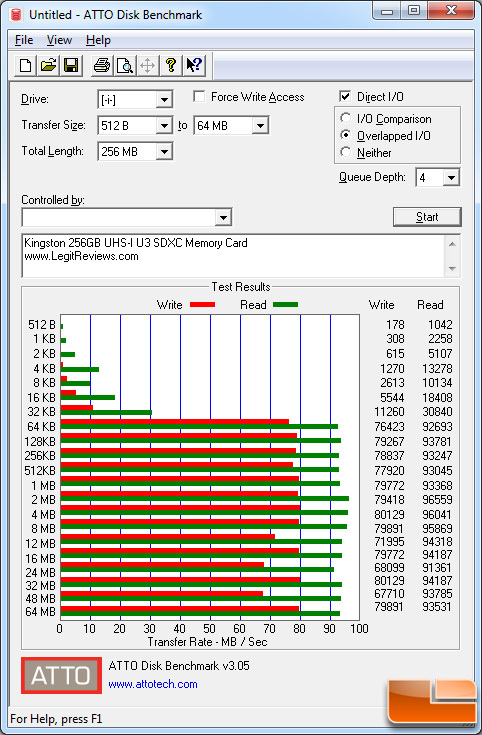 CrystalDiskMark showed that we topped out at 95 MB/s sequential read and around 78 MB/s sequential write on the Kingston 256GB UHS-I U3 SDXC memory card. Benchmark Results: On ATTO we were able to get up to 97MB/s read and 80MB/s write, which shows the cards rated speeds of 90MB/s read and 80MB/s write are pretty accurate! 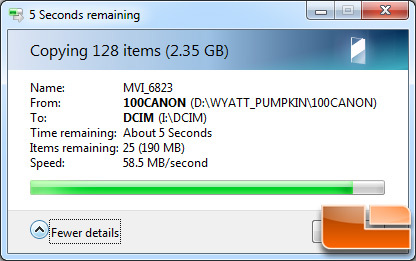 When moving photos and videos from a recent trip to a pumpkin patch we were getting about 85 MB/s read speeds on our Kingston FCR-HS4 memory card reader. When copying some movies and images back to the card we were getting right around 60 MB/s write speeds. Not bad speeds on a real world test! If you are shooting a ton of pictures and video clips and find the in use/memory light flashing continuously or find that it takes too long to move your content off the card and onto your PC for editing you really should take a look at the Kingston SDHC/SDXC UHS-I U3 memory card series. This is the fastest SD card offered by Kingston and this product line is aimed for those shooting images in burst most or Ultra HD (4K2K) video content. The card has worked flawlessly during our time with it and we’ve noticed the memory light on our D-SLR camera is on for shorter periods of time and moving images around for editing is faster. When it comes to pricing the Kingston 256GB SDXC card that we looked at today is sold under part number SDA3/256GB for $145.20 shipped on Amazon. If that is too much money, you could step down to the 128GB version (SDA3/128GB) for $95.57 shipped or the 64GB version (SDA3/64GB) for $43.99 shipped and still get the 90 MB/s read and 80 MB/s write speeds. Legit Bottom Line: The Kingston SDHC/SDXC UHS-I U3 is the fastest that Kingston has to offers and is ideal for those shooting Ultra HD content or burst mode!